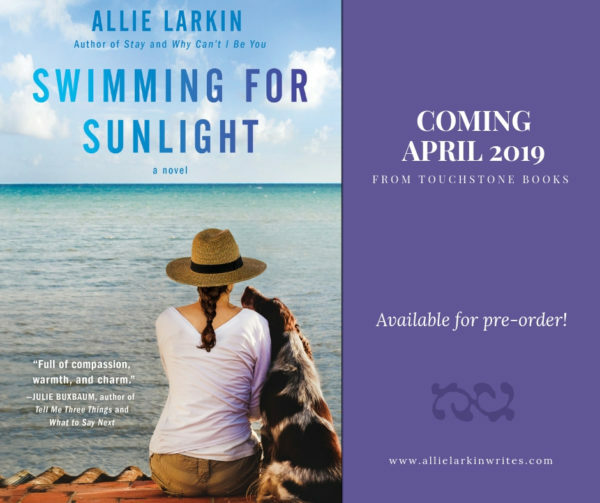 I’m so excited to share the cover for my next book, SWIMMING FOR SUNLIGHT, out in April from Touchstone Books! 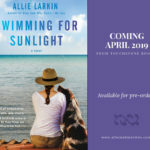 These characters are so near and dear to my heart and I can’t wait for you to meet them. 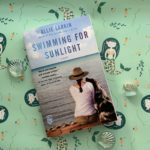 As Katie’s college love Luca, a documentary filmmaker, enters the fray, Katie struggles to balance her hopes with her anxiety and begins to realize just how much Bark’s fears are connected to her own, in this thoughtful, charming novel about hope after loss and friendships that span generations.